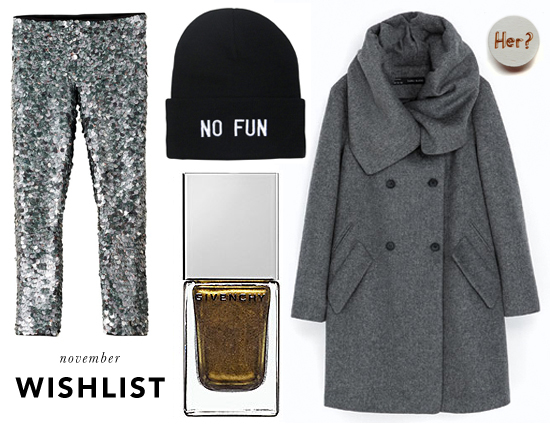 Colder months always get me in the mood for cozy coats and metallic accents. I'm excited to see the new Isabel Marant pour H&M line in person (and I'm going to keep my fingers crossed that I can actually get a pair of these sequined beauties) and have been lusting after that No Fun beanie for ages! What's on your wishlist?